With good friends and always a place to stay, Chicago is like a second home to me. I’ve been fortunate enough to visit in every month of year except July. While I don’t think there’s a bad time to visit, there are some months that are just better than others. Spring, preferably late May or early June, is one of my favorite times to visit the Windy City. There’s something a little extra special as the city begins to wake up from the cold. The snow that has been piled up all winter is gone. In it’s place, flowers are starting to bloom. Everything looks fresh. The best thing is the humidity is still fairly low. If you’ve ever been in the summer months you know how high that Chicago humidity can get. 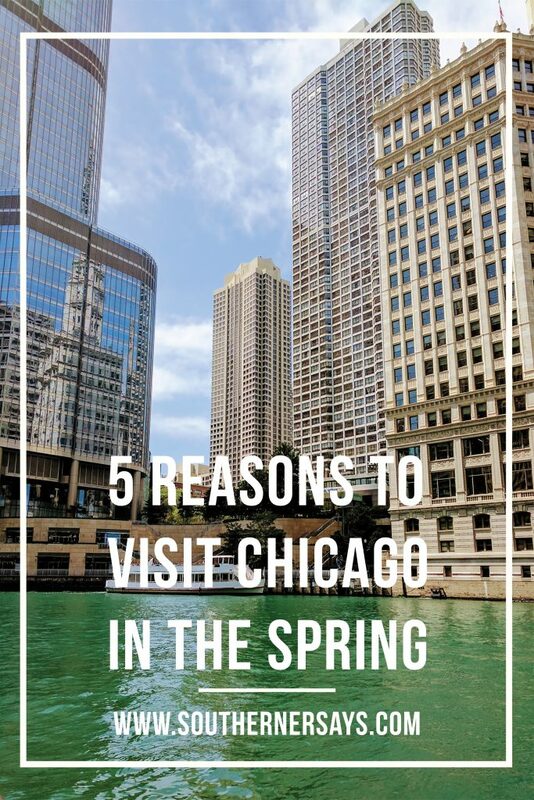 So here are five reasons to visit Chicago in the spring. Can you even write an article about Chicago and not mention “The Bean”? 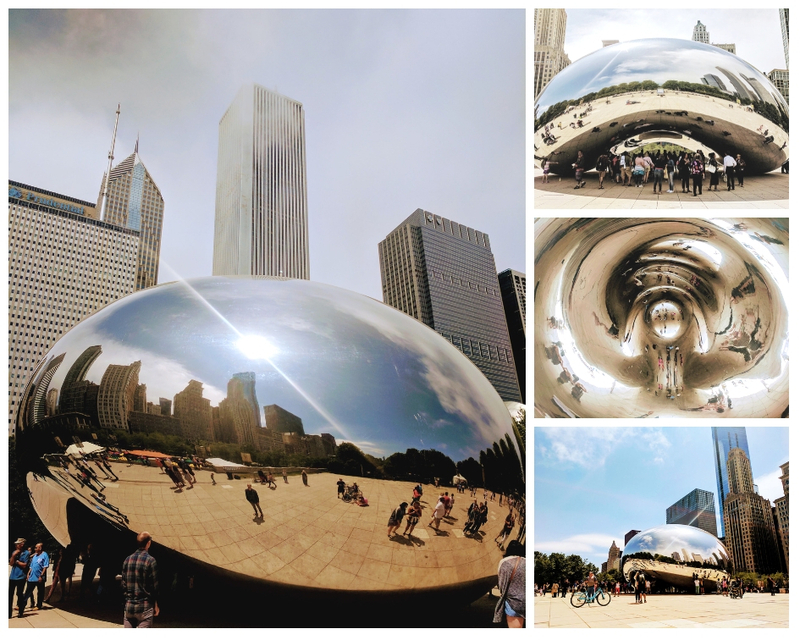 It doesn’t matter how hot or cold it is or how many days I’m in town, I always head to Millennium Park to see the “The Bean” or Cloud Gate. Made up of 168 pieces of stainless steel, welded together and polished so you can’t see any seams, the bean is just a wonder to look at. Created by Sir Anish Kapoor, the design and shape reflects the skyline around it in such a way that you see it differently from every perspective. It’s one of those places that constantly changes and should be experienced in every season. The park as a whole is just beautiful. With fountains, sculptures, architectural features, landscaping and events planned thru out the warm months. It’s an experience, in my opinion, that shouldn’t be missed. Don’t forget to take that selfie at the Bean. Every fall, the city of Chicago plants tens of thousands of tulip bulbs. What started as a Michigan Avenue tradition has turned into a city wide event. You won’t have to look too hard to find them. The city takes a lot of pride in this tradition. They go to great lengths to protect the bulbs from the winter and the harsh chemicals used to melt the snow by placing sod over them. They then remove the sod at the appropriate time. Once the tulips bloom, the bulbs are removed to make room for summer flowers. But those bulbs don’t go to waste. They do a very popular bulb giveaway to raise money and the bulbs can be reused in home gardens. Another feel good aspect of this tradition is the forethought the city uses in certain years to mark special events or things happening in the city. Like the year they worked with a Dutch breeder to get a tulip named after the then mayor’s wife, Maggie Daley. She was battling cancer at the time and the city knowing that she had carried tulips down the aisle at her wedding to the mayor, planted this bulb named after her, in her honor. Just one more reason to love this city! Spring is also the perfect time to hop on a boat and float down the Chicago River for a tour of the some of the buildings that made Chicago famous. There’s nothing more constant than change. While a lot has changed thru out the years, the newer modern buildings peacefully coexists with the historical ones in what makes Chicago one of the most distinctive and in my opinion, beautiful skylines. Some of the names of the buildings may change but they are as outstanding as ever. I used Wendella Tours for for my tour. The guide was very knowledgeable and I learned a lot about the Chicago skyline, the different types of architecture and the time periods in which they were built. Souvenirs, snacks and drinks, including alcohol, are available for purchase on board. There is covered indoor seating but the best view is definitely outside. Bonus! I even got a whiff of the chocolate smell from the Blommer Chocolate Factory. A smell so famous it has it’s own Twitter so you can report where you smell it. Who doesn’t enjoy sitting outside sipping a libation or two on a nice Spring evening? After the long winter, Chicagoans are eager to get outside so there’s no shortage of restaurants with outdoor seating. Head over to Randolph Street’s Restaurant Row to start. Located in the West Loop area, one of my favorite areas, you will find some of the best and award winning restaurants in the city. One of my current favorites is Maude’s Liquor Bar. Such a cozy environment, it’s perfect for date night but not too fancy for a casual dinner. They have a few sidewalk tables too. Featuring a menu that changes seasonally, items such as Roast Farm Chicken, Escargot and Cassoulet are just a few of the French comfort food classics they serve. Also on the menu are some updated twists on other classics. Instead of French Onion soup, how about French Onion Fondue? And the cocktails! Try an Aviator or a Gin Smash. Another one of my favorite places is RM Champagne. 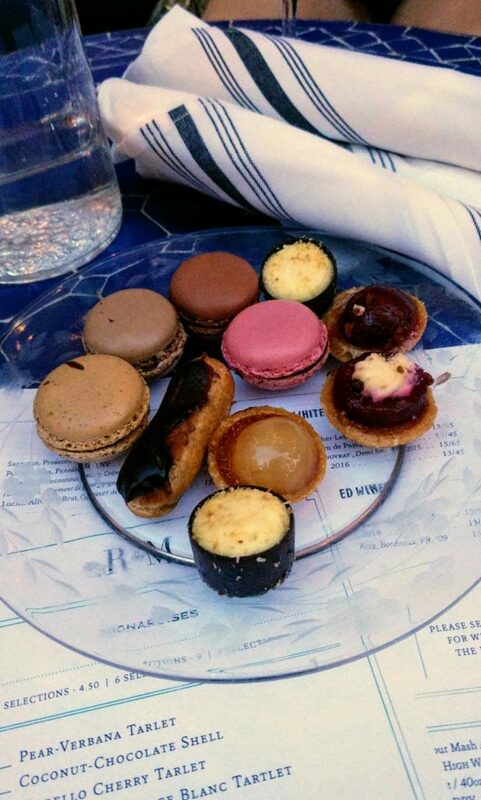 With delicious desserts and a beautifully inviting outdoor space you’ll wonder if you are in Chicago or Paris. I suggest you try the dessert flight which gives you a sample of every pastry on the menu that day. Usually ten pastries or desserts, there will definitely be something that everyone will like. Throw in a bottle of bubbly and you can’t go wrong. In the last few years Chicago has added quite a few rooftop bars perfect for a Spring evenings. While some are more club, and others more restaurant, the one that I like with a more laid back vibe and great lounging area is Raised Bar located in the Renaissance Hotel right on the river. Surrounded by glass the views are stunning. They don’t take reservations so you might have to wait if you want a seat. All of these Chicago experiences, with the exception of the tulips, could be enjoyed in the summer and fall of the year. So next time you are looking for a quick get away, why not consider Chicago. Sharing is caring. Pin it here. What a beautiful article about the Windy City. I’ve never been to Chicago and would love to visit one day. Perhaps a stopover on my way to visit my aunt in Belleville. Love to visit the chocolate factory, the Bean and just stroll around the city. Thank you so much Jane! You definitely should go! I think you would enjoy it and all the wonderful things to do and eat!